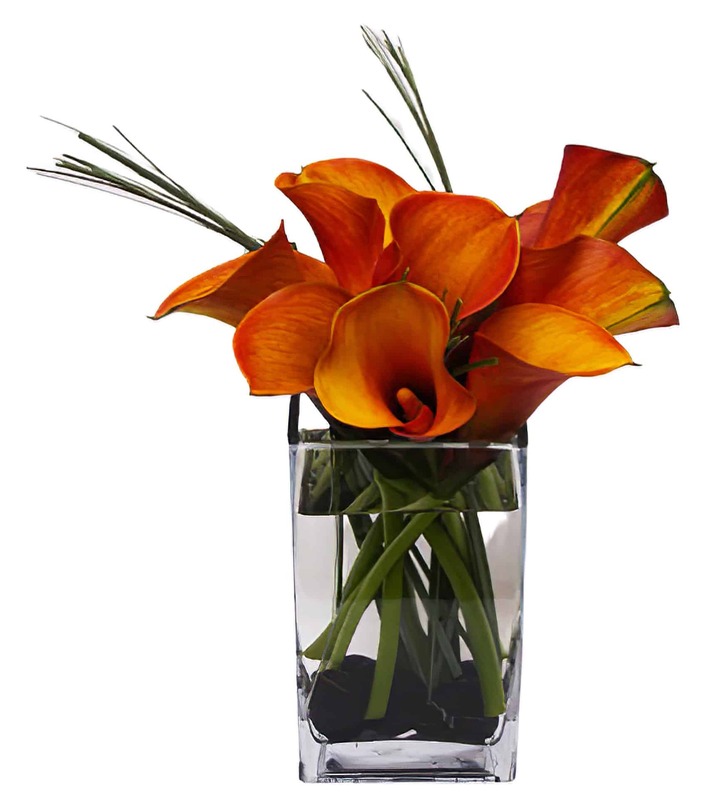 A simple design of orange calla lilies accented with bear grass and black rocks makes this a sure eye-pleaser for any desk or bare spot in your home! Beautifully prepared arrangement! Communcation on preparation and delivery was first rate. I'm very pleased with the quality of the arranement and the Podesta Baldocchi's service and follow up.